Ther is nothing but chaunge and variaunce"
In the 2007-2008 Die by the Sword graphic novel, Stuart Vandal wrote, “There are many contradicting tales attributed to Merlyn and all of them may be true” (Vandal). Addressing an audience of Marvel comic readers, familiar with the existence of multiple versions of a featured character, Vandal hardly needed to account for the multiplicity of other Merlins that populate bookstands, television, or the comic-shop. Multiple worlds, a lineage of heirs, and franchise reboots are all tried and true methods of covering over the many changes characters undergo when they cross generations and franchises (such as why DC prefers to spell Merlin “-in,” while Marvel spells his name “-yn”). Yet despite this liberty, Vandal found it necessary to write that the shape-shifter and his kind are “amalgams of all their inter-dimensional counterparts, presumably with access to the combined knowledge and skills of the entire gestalt,” adding that “It is uncertain if the different aspects of Merlyn are capable of independent action” (Vandal). Why go so far as to attempt to unify the multiverse of Melrins? 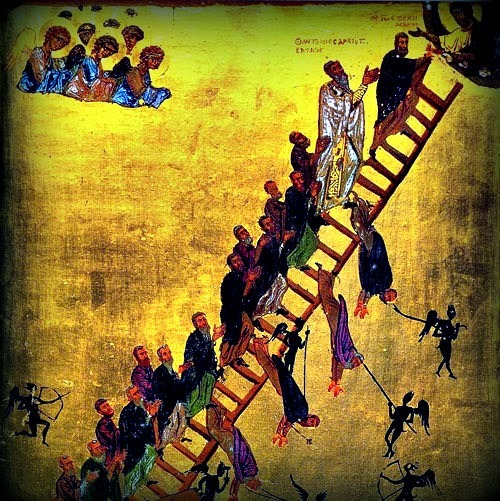 I argue the compulsion to amalgamate Merlin derives from the same quality that leads to his multiplication across centuries of medievalism and media: transformation. From a character that won’t seem to stay within the bounds of one story, to particles that appear to exist in two places at once, to an island recently overrun with Norman conquerors and a King whose tower won’t stop falling apart, there is an uncanny and dangerous aspect to change. What do we do when one character, one electron, one land or one tower just will not limit itself to one form or occupation? While Aristotelian metaphysics and contemporary science work to define 'quantum superposition,' literature has long used shape-shifters like Merlin to explain changes within a supposed continuity. In place of or next to looking at hadron super-colliders for quantum bodies, or beings that seem to fragment across time-space, we could turn to the quantum lives of Merlin. 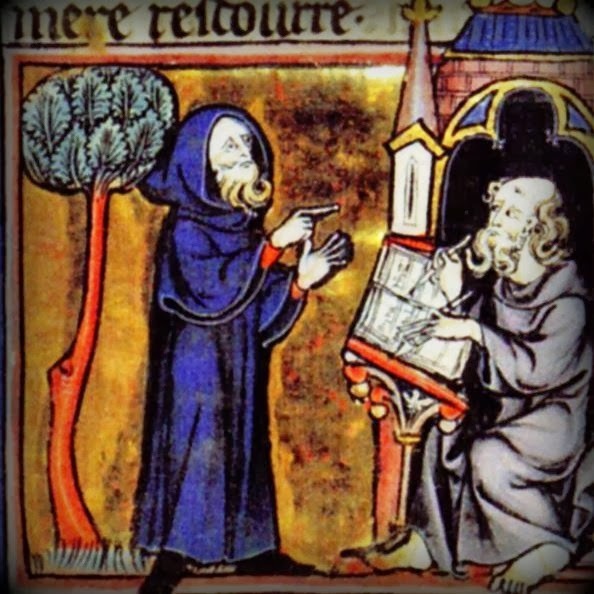 Since his first appearance in the 12th century Historia Regum Britanniae by Geoffrey of Monmouth, Merlin has disturbed reader’s sense of bodies being limited to one place, time, or shape. Written in the wake of the 1066 Norman conquest of England, Monmouth's text was conceived in the geographic and temporal brink of changing ethnic make-up of the island. Post-colonial scholars of the medieval period, such as Michael A Faletra, now attend to Monmouth’s history as one more attempt for the invading population to install and integrate itself into the land and people that it had just taken over by force (Faletra, "the Conquest of the Past in the History of the Kings of Britain", 121-131). By attending to the texts's many fictive moments, the gaps in the evidence and the text's creative composition, Faletra argues "The History of the Kings of Britain,then, can be seen as a deliberately constructed apology for Norman colonialism" (Faletra, 123). 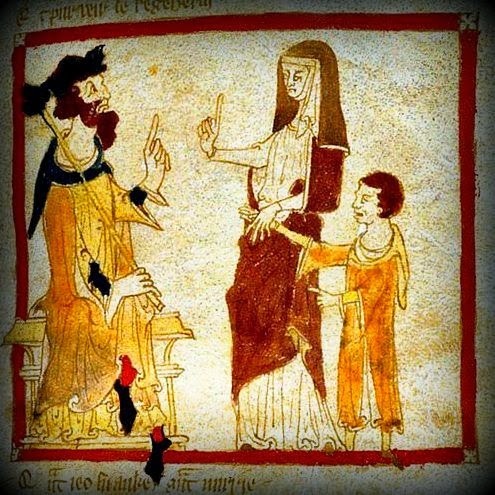 For the purposes of our study, it is enough to say that the conception of Merlin in the Historia works on the anxiety of trying hold a conquered and unsettled nation together by offering a narration of change that stitches together discordant appearances into a single reassuring continuity. One way to quell revolutionary turmoil is to set about defining what "change" means. "There appeared to me a person in the shape of a most beautiful young man, who often embraced me eagerly in his arms, and kissed me; and when he had stayed a little time, he suddenly vanished out of my sight. But many times after this he would talk with me when I sat alone, without making any visible appearance. When he had a long time haunted me in this manner, he at last lay with me several times in the shape of a man, and left me with child." (Monmouth II.XVIII). The story of Merlin's conception then destabilizes reader's conception that the seeing is believing. In place of a world of appearances, opens up a space where thinkers can begin to imagine beings that are not reducible to the individual historical instances by which they are known. A body can exist in surplus to the sensible units by which we measure them. This narrative itself comes in to try to explain the absence of things (i.e. fathers) that disappear the moment their uncanny existence is called into question. For the 12th century reader, the suggestion that there exists beings beyond the world of appearances was not particularly revolutionary. 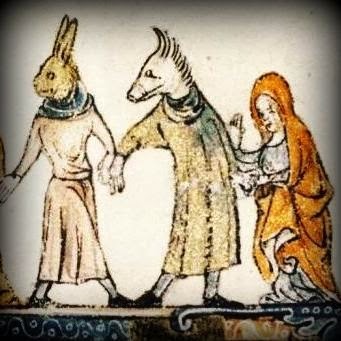 Medievalist Carlyn Walker Bynum contends that in the 12th century there existed a range of stories and philosophies that worked to explain change (Bynum, Metamorphosis and Identity, 15-33). Among philosophies of change, Bynum argues, were a host of stories about shape-shifters that explained disparate appearances of a single body by suggesting a deeper hidden unity. While Bynum's work largely drew on narratives and theological treatises, this unity of disparate appearances fit into a parallel and integrated discourse on "quantum" bodies that ran through Aristotelian Metaphysics. Shape-shifters like Merlin and his father, exist as what John Duns Scotus calls a “quantum” in his 13th century Questions on the Metaphysics of Aristotle. The Subtle Doctor explains Aristotle's quantum phenomena as manifesting when “the whole time and the parts of motion are joined to some ‘mutated being’ which is not one in the same motion” (Scotus, V.X). What does this mean? Looking back to Scotus's source text, Aristotle's Metaphysics, we find that "Quantum means that which is divisible into two or more constituent parts of which is by nature a 'one' and a 'this'" (Aristotle, Metaphysics V, ch. 13, 1020a 8-10). In Question 9 on this section of Aristotle, Scotus is concerned with explaining that a part in its relation to a whole is not a separate body. Insofar as the larger whole cannot exist as it is without its different constitutive parts, then the aggregate is not divisible. Returning to Scotus's definition of change, or "mutated being," a body can be viewed as existing "in part" in different places, times & aspects but still exist as one quantum across these supposed divisions. While Quantum Theory was a living discourse in the late medieval period when Merlin was first conceived, 21st century readers of Vandal would likely turn to the realm of physics for a unified theory of change. What Science Studies scholars, like Karen Barad, open up for current day thinkers is the space where "matter and meaning" can exist in conversation between the sciences and literature. In Meeting the Universe Halfway: Quantum Physics and the Entanglement of Matter and Meaning, Barad explicates how theories of superposition are poised to bring together disparate conversations on existence and change. Turning to experiments and postulations of quantum superposition, Barad offers narratives that might sit side by side with Aristotle, Scotus, and Monmouth's Merlin to help readers imagine a world in which one thing can exist across supposedly separate forms and positions. Opening with the famous "two-slit experiment", Barad explains that a moving thing, such as a photon being shot through a filter with two slits, may transcend our conceptions of space and time, by simultaneously going through both locations and impacting a sensor screen at both points. The result here is an "interference pattern" wherein the different versions of the same particle affect one another's impressions on the reception plate (Barad, 265-269). Then, once the experiment is tried again with a sensor at the point of the filer, photons behave radically different, appearing to pass through only one slit at a time and creating a distinct patten on the reception panel. This unobserved bi-location, or super-position, brings together disparate experiences in philosophy and science into an understanding of a unified whole. But note, it does so, as does Merlin’s birth, by changing our perception of time and space. Quantum bodies insist that we "meet the universe halfway" because existence will prove not to be locatable to one definite position, but rather spans and gapes. We must meet Merlin and his father halfway, because that is where they exist. Indeed after hearing the circumstances of Merlin’s birth, King Vortigern’s council explains that, “between the moon and the earth inhabit those spirits, which we will call incubuses. These are of the nature partly of men, and partly of angels, and whenever they please assume human shapes, and lie with women. Perhaps one of them appeared to this woman, and begot that young man of her." (Monmouth II.XVIII). The positing of a space "between" the world of appearances on earth and the world of forms beyond the moon, suggest a different vision of the universe than one where everything exists in some definite material or celestial position. Quantum bodies exist "between" their locations, rather than as a divisible mixture of them, as Barad explains: "A mixture refers to a collection of particles with a determinate value of the property in question, such that the state of any given particle is determinate but unknown" while "superpositions represent ontoligically indeterminate states - states with no determinate fact of the matter concerning the property in question" (Barad, 265). The interderminacy of beings between the earth & moon, "partly" angel and "partly" human then open up a new way of imagining existence. Beings might "assume" & "appear" a wide range of forms across time and space but not be determined by them. As in Vandal’s explanation of Merlin as coming from many stories and many dimensions, Monmouth’s Merlin comes from a world of middles, where beings exist between place, between the temporalities of mortals and eternal spirits. Coming from such a time-space, as such a partial being, it is not surprising then that Merlin himself should appear and disappear in many different countries, times and stories. His super-natural, super-positional genealogy presented to King Vortigern and the reader, Merlin substantiates quantum reality, through his powers of prophecy that "perceive[s] the otherworldly reality underlying natural phenomena" (Terri Frongia, "Merlin's Fathers," 120-125). Having been called out as without a human father, Merlin may then be called upon to be killed and splattered upon Vortigern’s tower in order to hold it and his kingdom together. At this point Merlin offers an alternative option to continuity through violence in the form of narrative and prophecy. In place of bloodshed, Merlin's quantum perspective demands that we look into the foundations of things. Merlin instructs the King to break open the earth beneath the tower, telling him there he will find a pool and two hollow rocks with two dragons inside. "I entreat your majesty" Merlin begins, "command your workmen to dig into the ground, and you will find a pond which causes the foundations to sink .... Command the pond to be drained, and at the bottom you will see two hollow stones, and in them two dragons asleep" (Monmouth, II.XIX). Affected by Merlin’s vision, the King digs beneath the surface and finds that at the heart of his unifying tower rests contradiction and diversity in the form of a red and white dragon, that immediately begin to war with each other. This prophecy at once demonstrates two things about Merlin. First, that he literally points to the unsettling even volatile multiplicity that undergirds bodies as seemingly homogeneous as a tower, pool or rock. Second, Merlin demonstrates a perception that sees across time and place. He can see the moment in which the tower will be dug up and the dragons freed before it happens. Or else he can see across the distance and form of the earth, into the stones beneath it. Or else he foresees what other forms things may take, if the ground is dug up. In a sense, Merlin perceives across limits of time, space, and form. This is made evident by the wealth of prophecies he is forced to narrate after his first is shown to be true. “After this battle of the dragons,” writes Monmouth, “the king commanded Ambrose Merlin to tell him what it portended. Upon which he, bursting into tears, delivered what his prophetical spirit suggested to him” (Monmouth VII.III). The Prophetiae Merlini make up a whole separate book that Monmouth writes and connects to his History. In this way, Merlin demonstrates how a storyteller that exists across time may as much look forward from the past to the many changes to come, calling it prophecy, as he may look back and call it history. Merlin “portended,” or carries across, this visions, as a quantum being capable of such super-positional observation. Furthermore, this book of Prophecy is evidence that Merlin from the start cannot be limited to one text or temporality. Thus while Merlin’s Prophetiae, “promotes nationalism,” by predicting the island as always already a colonized space, scholars such as Tamar Drukker argue that Merlin himself “reflects a Christian conception of the past as something that is neither over nor complete. This perception rests upon the typological reading of the Old Testament, accepted as a narrative of historical events whose profound significance is revealed by their fulfillment in the New” (Drukker, "Vision and History," 25). While characteristically teleological, privileging the new over the old, this typological method of reading should not be regarded as wholly distinct from the quantum mode. Both gesture to a feature of prophecy (whether written or read into a text) that opens up a middle interdeterminate space where historical figures are not exhausted of matter or meaning by their location in the past. The proliferation of "the new" book of Merlin's Profetia after the success of the Historia, and the development of a whole sub-genre of Arthurian romances featuring Merlin demonstrate that the prophetic son of a devil could not be limited to any single narrative. From the Vita Merlini to Le Morte d'Arthur, Merlin continues to inspire stories of transformation that look beyond the particularities of time and place to a reality that somehow rests between any worlds that appear directly to us. Merlin does more than market himself to appear in many different stories in many different places so as to somehow unify them, so that “all of them may be somehow true” as Vandal put it (Vandal). Merlin gives a sense of unified truth through seemingly incompatible experiences of change. Seeming to already exist beyond any particular appearance in the space and time at which Merlin is discovered by Vortigern, the figure seemed to predict his many reappearances within the Historia and beyond it. By the time Merlin is called on again by King Uther (the soon to be father of Arthur), the boy prophet has changed into a skilled engineer and doctor. Once again a kingdom's continuity is troubled (geographically) by civil war and (temporally) by the King's inability to woo his desired mate, Igerna, the wife of his enemy, the Duke of Cornwall. "I know how, by the force of my medicines, to give you the exact likeness of Gorlois, so that in all respects you shall seem to be no other than himself. If you will therefore obey my prescriptions, I will metamorphose you into the true semblance of Gorlois, and Ulfin into Jordan of Tintagel, his familiar friend; and I myself, being transformed into another shape, will make the third in the adventure; and in this disguise you may go safely to the town where Igerna is, and have admittance to her." (Monmouth, II.XIX). Merlin's powers of shifting "likeness," "shape," "semblance," and "disguise" all gesture to an indeterminate relation to forms and appearances. They each refer to a position outside an essentialist frame-work where form is so particularized as to be inimitable. To "seem to be" is to be recognized according to a common measure of qualities that might be (and are) imitated and occupied by another. Thus rather than shape being a determinate aspect of our being, shape shifts and form is decidedly indeterminate. Unlike later versions of Merlin which gesture to magic and mystery, Monmouth's Merlin establishes the shape-shifter as an engineer and doctor with special insights into the "arts" (a term which at this time would have included the sciences). In this scene Merlin uses the power of "medicines" to affect change. 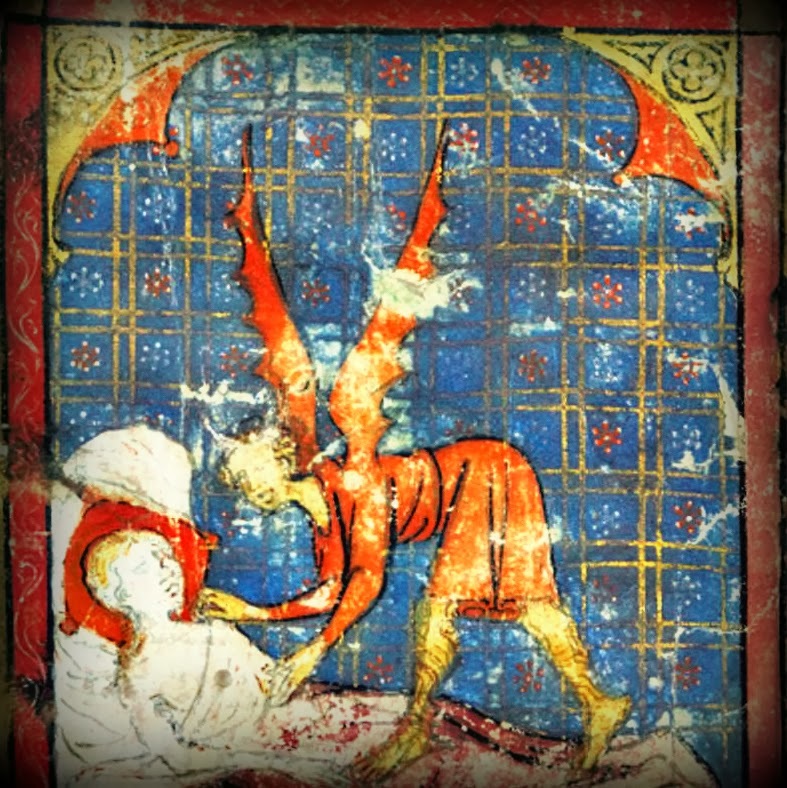 It is a keen understanding of how to "metamorphose" by sciences that "have not yet been heard of in this time" that allow Merlin and the King to become "transformed." Once again, the knowledges of many times places Merlin outside the determinations of particular moments in history to give them access to the forbidden space of the Duke's castle and to Igerna's bedchamber. After this adventure is accomplished, Merlin disappears again out of the story. Unlike later versions of the Arthurian romance where Merlin is a mentor and advisor to the young King, besides helping his father conceive him, Merlin and Arthur never meet in Monmouth's tale. This sudden reappearance and disappearance however gesture to how Merlin's powers of shape-shifting lead him to become very contingently involved in the action of narratives. In the Historia, Merlin prophesies, helps to relocate stone-henge, and assists in the shape-shifting adventure, but before and after each instance he vanishes away from the main story. Part of what makes Merlin so attractive to later stories is this very power of Merlin to drop in and out of narrative, often unnoticed for long stretches because of his powers of shape-shifting. Across the many Arthurian tales, Merlin appears and disappears as “a child, an old man, a woodcutter, a hideously ugly herdsman, a handsome 'prodome', a messenger, a peasant, a blind minstrel, a wild man, and a talking stag” and yet remains the same being across all these becomings (Miranda Griffin, 'the Space of Transformation,' 85). Each appearance affects the actions of the key characters, often without them knowing that it is Merlin pulling the strings. Each of these could be taken as distinct lives and distinct tales, just as pre and post conquest England may be separate things, or as particles appearing in two different spots. Yet Merlin assures us that, at some quantum level, things can and do persist through radical change and fracturing, if only we are willing to surrender the conceit that we ever build on stable ground or live and love things that will not one day disappear or appear again in other forms, other places, other stories. 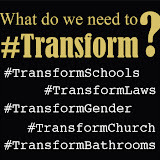 The call to hang on & hold together through transformation is particularly interesting and important for Trans Studies. Merlin's prophecies and shape-shifting leads him to touch the stories of trans masculinities in the late medieval period (i.e. the Romance of Silence & Grisandole) & trans femininity in the 20th century (Camelot 3000); in ways that underline a shared quantum reality where things remain ontologically distinct and indeterminate despite there many contested genders and forms. In this way Merlin leads us to consider a wide range of narratives as we seek to locate the transforming and transgender bodies existence across time and superpositioned across quantum medievalism.